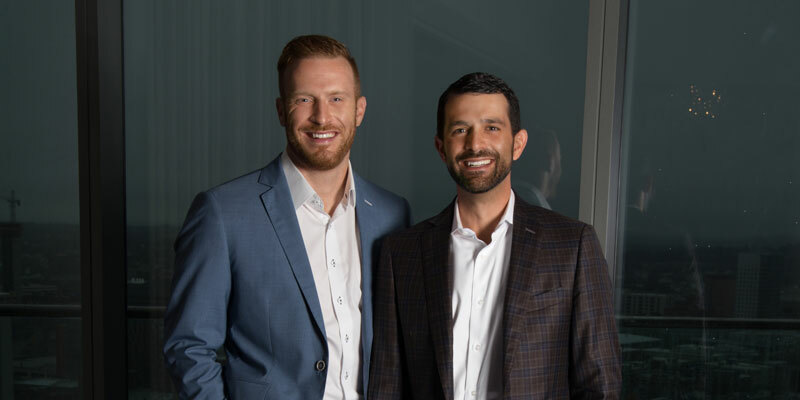 Matt Naimoli and Zack Gould co-founded G&N Insurance from scratch seven years ago. In 2017, G&N Insurance was recognized by Boston Business Journal as one of the Best Places to Work. “It’s a testament to the culture we’ve created and the work environment that our VIP team members get to be a part of on a daily basis,” Naimoli says. G&N Insurance has also been included in Inc. magazine’s lists for the fastest-growing private companies in the country and the fastest-growing insurance agency in New England. In 2015, Gould was named Young Agent of the Year in Massachusetts by the Massachusetts Association of Independent Agents. Naimoli and Gould have carved out a niche for their firm within the real estate industry. With a primary focus on selling residential and commercial real estate insurance in Massachusetts, but working with Realtors, loan officers, real estate attorneys and their respective clients throughout New England. Much of their success comes from maintaining a narrow focus and understanding the nuances of real estate in order to work with industry professionals. “We are constantly trying to remove obstacles and hurdles from their process so we can ensure that their clients are getting to closing seamlessly,” Gould says. As leaders of a diverse team of passionate insurance experts, Naimoli and Gould inspire and empower their employees, guiding them to better serve the firm’s clients and satisfy their needs. “Every sale our team makes means money saved, protection increased, or a new house closed on by our valued clients,” Naimoli says, adding that by the end of the year, the company will have insured 2,500 newly purchased homes, comprising about 5 percent of all purchased properties in Massachusetts. Naimoli and Gould are affiliate members of the Greater Boston Association of Realtors (GBAR), the GBAR Young Professionals Network and members of MAIA. They invest heavily in social media and have recently launched a 52-week Facebook video series, #BobbleOn, to showcase their journey of entrepreneurship and partnership. They give back to the community by supporting local holiday toy drives, volunteering time for food drives, and fundraising for St. Jude’s Children’s Hospital.